I thought that thoughtful MTA electricians left these exposed boxes in subway walls so that individuals low on hope could tap in. 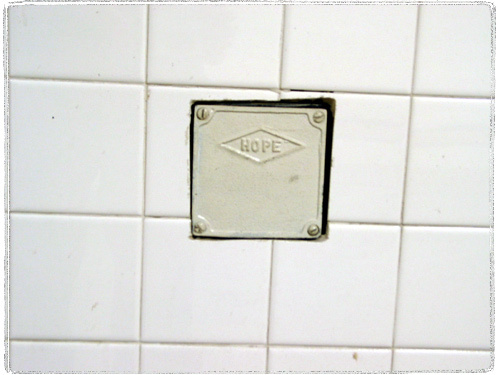 But it turned out that this is simply a product of HOPE Electrical Products Co., Inc. Previous PostPrevious Look Ma, No Photoshop!